Tamron's 15-30/2.8 Di VC USD has a lot going for it: The range is very practical for a wide-angle zoom, and starting at 15mm it almost never leaves you wanting. And a constant f2.8 aperture plus very good image stabilization makes it a very attractive proposition for those that don't carry around a tripod all day and need to take images indoors or under low light. Top this off with an image quality that surpasses the once king of the hill, the famed Nikon AF-S 14-24/2.8, in almost every aspect at a lower price and you have a lens that clearly earns a Highly Recommended. There are only two downsides in my view: the bulk/weight and that you cannot use filters. But still: For me this is the new reference in the ultra-wide-angle full-frame zoom class. Just make sure that you get a well-centered copy. Check prices on the Tamron 15-30mm f2.8 at Amazon, B&H, Adorama, or Wex. Alternatively get yourself a copy of my In Camera book or treat me to a coffee! Thanks! Everybody is chasing Nikon’s fabulous AF-S Nikkor 14-24mm f2.8G. It’s been the benchmark for full-frame ultra-wide-angle zooms since 2007 and no other manufacturer has come close to match or even surpass its performance. Now Canon has reacted with its EF 11-24mm f/4 USM L which goes much wider but only offers f/4. Then there’s Tamron with its SP 15-30mm f2.8 Di VC USD which matches the f2.8 focal ratio of the Nikon, zooms a little longer (giving up only 1mm at the short end) and, trumping both Nikon and Canon, offers image stabilization. It is only the second full-frame ultra-wide-angle that offers image stabilization after Nikon’s AF-S 16-35mm f/4.0G ED VR. But while the Canon will only hit the streets in summer with an estimated retail price of 3000 USD, the Tamron is already available and costs less than half of that. Plus it’s available in Nikon, Canon or Sony A mount versions. In my Tamron SP 15-30/2.8 VC review I’ll put this zoom to the test on a 36MP Nikon D810 body to see whether it’s a good match for the highest resolution full-frame Nikon DSLR. I’ll also compare its optical performance to the professional Nikon AF-S 14-24/2.8G to give you a good impression on which lens to get should you plan to venture into ultra-wide-angle zooms for a full-frame Nikon body. And while I used a Nikon body for testing, the optical results are equally relevant if you’re planning on buying the Tamron in the Canon EF or Sony A mounts. As usual I’ll have a look at the technical data first. I’ve rated the features with a [+] (or [++]), when it’s better than average or even state of the art, a  if it’s standard or just average, and [-] if there’s a disadvantage. I’ll compare it with Nikon’s AF-S 14-24mm f2.8G (“14-24” for short) which is the benchmark for full-frame ultra-wide-angle zooms. The score in the “features-department” is 1[-]/7/5[+]. This lens ticks some important boxes, like a constant f2.8 aperture and image stabilization although at such short focal lengths that may be of limited use: It enables you to use shutter speeds below 1/10 sec hand-held which is good for static subjects but increases the risk of motion blur from moving subjects. But the VC certainly comes in handy with architecture shots in low light and interiors. But its bulk, price, and missing filter-thread prevents more positive check-marks. 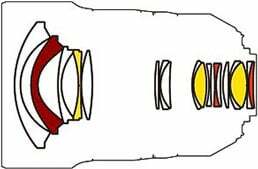 There is also the issue that Tamron has the zoom-ring in front and the focus-ring at the middle of the lens whereas the professional zooms from Nikon and Canon have the zoom-ring closer to the camera. But the Tamron zoom-ring turns in the same direction as the Nikons. Not so with the focus-ring: that turns “Canon-style”. So if you’re used to shooting Nikon or Canon zooms you may have to adjust a little to the layout of the Tamron. – which is Nikon’s own AF-S VR 16-35mm 4.0G ED: lose 1 mm on the wide end but gain almost 5 mm more reach on the long end which might not be that big trade-off. But it only has a maximum aperture of f4.0. At around 950 EUR it’s also not the cheapest alternative. See my Nikon 16-35mm f4 VR review. – Nikon also offers two professional grade constant f2.8 aperture lenses: the AF-S 17-35mm f2.8D ED which is an older design from 1999 and the AF-S 14-24mm f2.8G ED from 2007 (see my Nikon 14-24mm f2.8G review). They are naturally the most expensive of the alternatives for Nikon bodies costing around 1600 EUR respectively. – And there is another Nikon lens in this range if you discount the older AF 18-35mm f3.5-4.5D ED. It’s the AF-S 18-35mm f3.5-4.5G ED for around 600 EUR (see my Nikon 18-35mm f3.5-4.5G review). It’s the cheapest from Nikon and certainly not bad, but it lacks 3mm at the short end which is quite a lot (20%) actually and you’ll also have the smaller aperture which comes on top of the missing image stabilization. So in certain shooting conditions you may be 3-4 stops worse off with this lens than with Tamron’s new model. – Tokina offers the AT-X 17-35mm f4.0 FX. It lacks 2mm focal length on the wide end but adds 5mm on the long end. It has no image stabilization and is only f4.0. But at 550 EUR it’s much cheaper than the new Tamron. Tokina also offers the AT-X Pro 16-28mm f2.8 FX which is a little more expensive but offers a constant f2.8 aperture. Apart from the missing image stabilization it’s probably the closest in specs to the new lens. 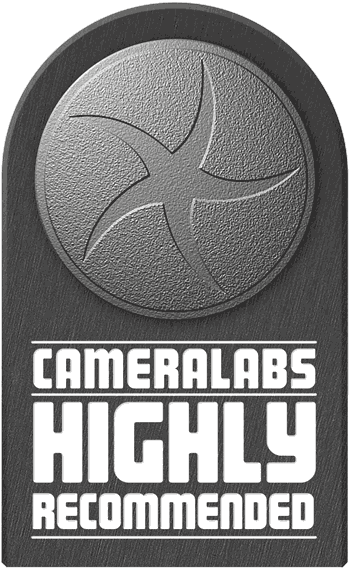 – Sigma offers the 12-24mm f4.5-5.6 DG HSM II. It is 1.3-2 stops darker and covers a much shorter range of focal lengths. Indeed it is the shortest zoom for a Nikon full-frame DSLR starting at 12mm which is 20% shorter than the new Tamron. At 650 EUR it’s only half the price of the new Tamron so if you’re into extreme wide-angle photography you might have a look at this lens. Keep in mind though that at the long end 24mm is 20% shorter than 30mm and you would give up 36% of your sensor’s pixels to get to the same framing as with 30mm focal length. – For those who shoot Canon bodies there’s the EF 16-35mm 2.8 L II USM for around 1250 EUR which lacks stabilization and 1mm at the short end but reaches up to 35mm. Plus the new EF 11-24mm f/4 USM L, which goes a lot wider topping even the Sigma 12-24mm. 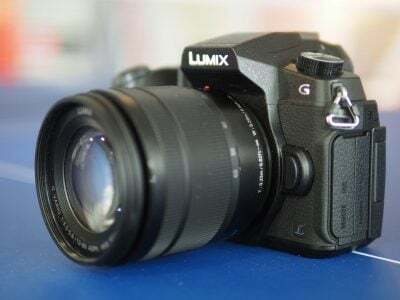 It has only a f4.0 maximum aperture and no image stabilization. This is also a very big lens (108 x 132mm, 1.18 kg) and the asking price is 3000 EUR. As you can see, there a lot of lenses in this range. So you have to decide carefully what you want/need and what your wallet is capable of. First I’d decide which focal range you need: 15-30 mm does not sound interesting to someone with a DX-body who has a standard zoom starting at 16mm. 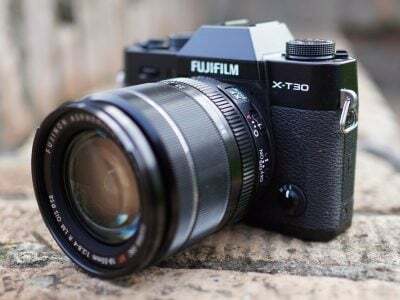 But remember: the new lens covers the full-frame sensors and has a field of view that is equivalent to a focal length of around 10mm on a DX-body respectively. So if you own or are planning to buy a full-frame body then 15mm is indeed very wide. And 30mm on the long end would still be considered a mild wide-angle. Focus accuracy and repeatability is critical to consistently produce sharp shots, especially at large apertures. Consistency of auto-focus (the accuracy of focus on the same subject after repeated focus-acquisition) of this lens at 30mm is very good (99.5% as measured in FoCal) with only very slight variations and no outlier over a series of 40 shots. At 21mm consistency dropped a little to 99.0% . The lens focuses in around 0.35 sec from infinity to 0.3 m which is very fast. The lens exhibits a little focus breathing on the wide end: things in the background become smaller the closer you focus. At 30mm the effect is gone. AF-operation and the image stabilization is barely audible from the outside. If you record video with the built-in microphone however focus-movement starts and stops with a “clack” but the sound of the AF-drive during focusing is unobtrusive. And the VR-system is virtually silent on recordings: very good! The focus ring has no slack/play between its movement and the focus-action which is good for manual focusing. And the throw of around 100 degrees is long enough for accurate focus wide open on this wide-angle lens. The focus ring has a 14 mm wide profiled rubber surface that is just broad enough and moves smoothly. The more important zoom ring is much broader at 25 mm. Its movement is pretty stiff especially at the short end. In general the impression of build quality is that of an upmarket/enthusiast albeit not pro-level lens: A high quality plastic construction combined with a weather sealed metal lens-mount, and nine rounded aperture blades. The bulk and weight of the lens is certainly adding to this impression. The lens is made in Japan. My first copy showed a marked decentering defect so I had to get a second copy for this test. To test the effectiveness of the image stabilization (called VC = vibration control by Tamron) I did 270 test-shots hand-held. Of that 70 shots were at 1/30 sec with VC=OFF as a reference and 200 shots at shutter speeds from 1/50 sec down to 1/2 sec with VC=ON. As I was shooting the FoCal target I could use their software to evaluate sharpness of the shots and compare the results between VC=ON and VC=OFF. I found out that the stabilized shots at 1/8 sec on average produced better sharpness than the unstabilized shots at 1/30 sec. And the shots with 1/4 sec and VC=ON came very close. But at 1/2 sec only 7 out of 20 shots produced satisfying sharpness. So all-in-all the image stabilization of the Tamron proved to be very effective to the equivalent of around 3 stops. This is very good and comes in handy when you shoot static subjects indoors or under fading light.